From the explosion in creative writing programs and workshops to the poetry slams and open mikes in every city to the reading groups venturing beyond prose for the first time, poetry is suddenly everywhere. This vibrant anthology showcases unforgettable poems and photographic portraits of leading writers in the United States, together with a CD that features many of the poets reading from their work. From Aleida Rodriguez to Ishmael Reed to Maxine Hong Kingston to John Ashbery, the poets gathered here represent a cross section of poetic styles, geographic regions, and ethnic identities. Together they express the amazing exuberance and diversity of contemporary poetry. Margaretta K. Mitchell conceived the volume after attending the celebrated Lunch Poems Reading Series at the University of California, Berkeley. 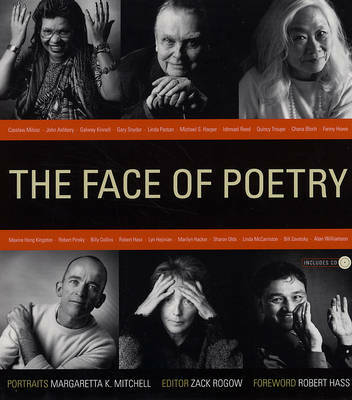 Her desire to capture the faces of all of the poets who participated in the series led to the creation of this book. Her essay explores the importance of portraiture and describes her studio sessions with these poets.